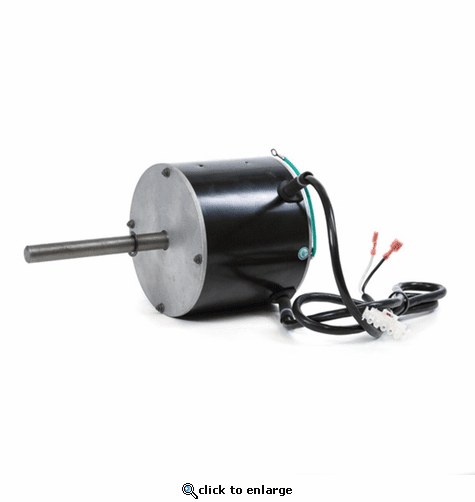 Portacool Cyclone two speed motor for PACCYC130. Portacool portable evaporative coolers entered the marketplace in 1990 offering the first version of an evaporative cooler designed to provide economical, effective cooling where ever it was needed. Twenty-five years later, the company\x92s consistent growth rate and continued expansion in product lines has positioned it as a global leader in the portable evaporative cooling business with distributors in 50 U.S. states and 56 countries. Portacool, LLC selected Center, Texas, for its location in the beginning and has never considered moving. Nestled in the beautiful piney woods of East Texas - 150 miles southeast of Dallas, 120 miles northeast of Houston and 17 miles west of the Louisiana border - this small town still maintains the look, feel and hospitality of the original community. However, the town has enjoyed modernization due in large part to the manufacturing and technological advances of companies like Portacool choosing Center as their location. Portacool portable evaporative coolers have proven highly effective in unlimited uses ranging from agricultural and horticultural applications, manufacturing, industrial, business, entertainment, sports, home, and hobby - anywhere cooling is needed and traditional air conditioning is impractical or cost prohibitive. With a strong network of distributors, Portacool, LLC continues to expand its worldwide market horizons and produce outstanding sales revenues, all from the beautiful setting of Center, Texas. Cyclone 110 1000 CFM 2-Speed Portable Evaporative Cooler for 300 sq. ft.